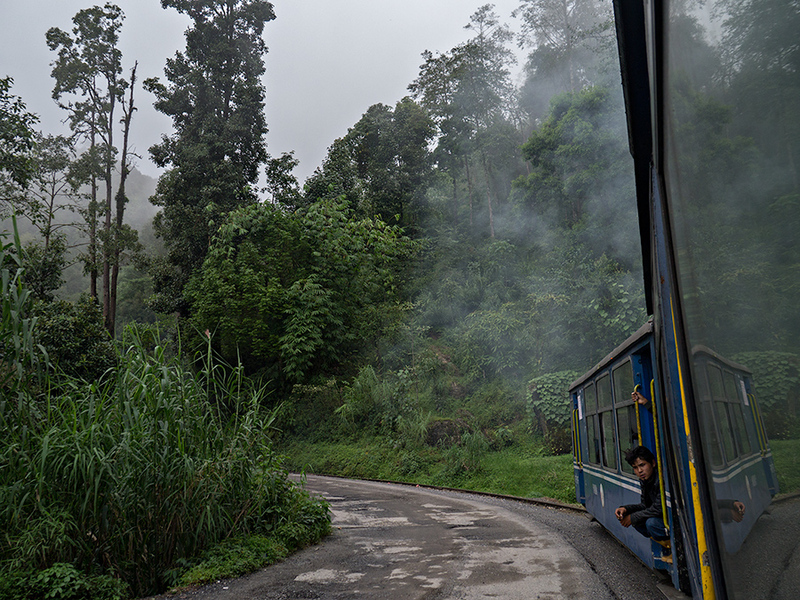 I took the toy train down to Kurseong and back yesterday. What a fun excursion! I travelled first class, for the princely sum of one dollar per hour, although the carriage was, er, well-worn. If I were to do it again, second-class looks comfortable enough (padded benches) for one-fifth of the price. d push if necessary. Then it’s pretty much steady downhill to Kurseong. The grade is never too steep (the train navigates the same road, and criss-crosses it constantly) although the surface varies from some (not much) smooth to (more) pot-holed, with holes large enough to disappear in. Maybe it is good I have a bike with front-suspension! 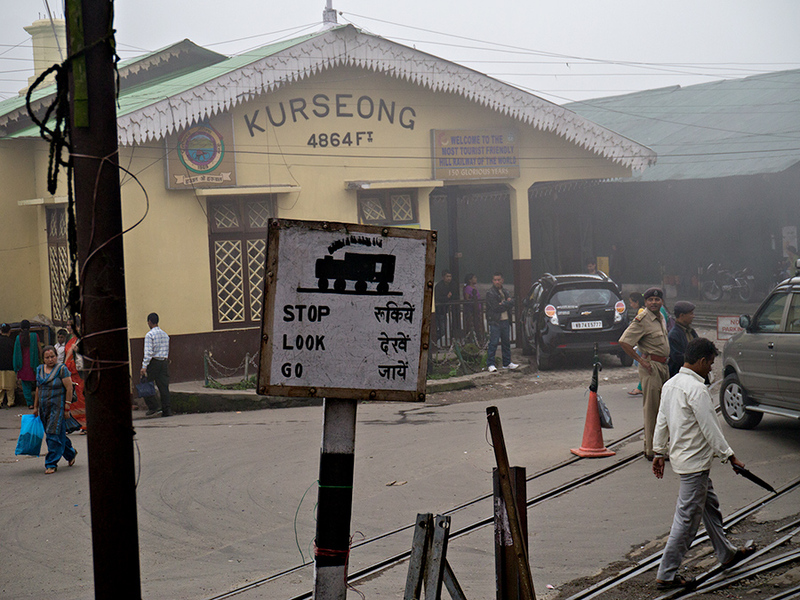 After lunch in Kurseong, it was back on the train and up to Darjeeling again. Here’s some amateurish video I shot on the way back of the engineers at work keeping the train moving. And here are some links to other video I shot on the climb up to Ghum and on the way back. I may do the trip again if the weather really clears before I’m ready to leave Darjeeling. That’ll be second class.